Rogue makes some pretty neat products, most of which are actually useful for the average photographer. The 3 in 1 honeycomb grid is designed to fit over a standard camera accessory flash unit, and provides a way to control the coverage of light that falls on the subject. Grids are better than snoots, although the difference is sometimes subtle. check out the photos below. 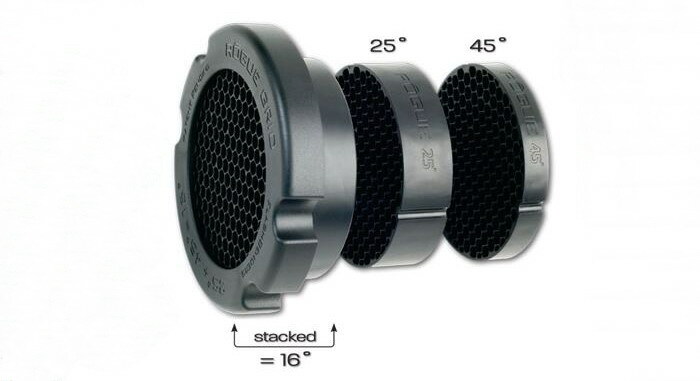 The size of the product as mounted on the flash is about 4" (100mm) long, and 3.6" (92mm) wide at the front holder. The individual grids are 2.75" (70mm) wide, and have 11/64" (4.5mm) honeycombs. The whole thing inside the carrying bag measures about 2" (50mm) deep, 5" (127mm) long and 4" (100mm) long. Rogue grids with holder. Rogue image. Rogue grids pattern. Rogue image. Rogue grid mounted on camera flash. Rogue image. The top image shows what you get in the box; the grid flash strap is under the grids. The second image shows the two grids and holder, although the Rogue supplied image shows three grids, you get the third by combining the two! You get a 45°, which is somewhat wide, a 25°, much narrower, and the two combined equal a very tight 16° grid. The third image shows the pattern and area covered by each grid and the combination. The last image shows the assembly mounted on a flash unit. 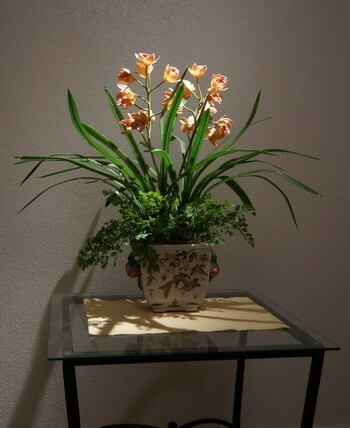 This is our "base" image taken at the studio. There is only ambient light from a window. 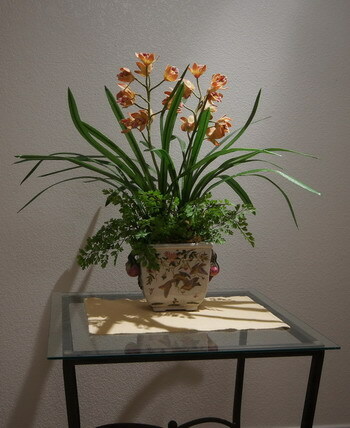 The subject is an orchid arrangement on a table placed close to the wall. 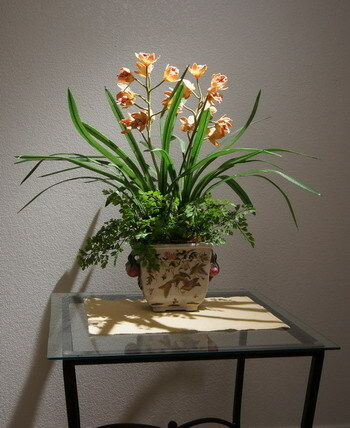 The studio distances are; table center about 18" (.46m) from the wall with the orchid leaves almost touching the wall. 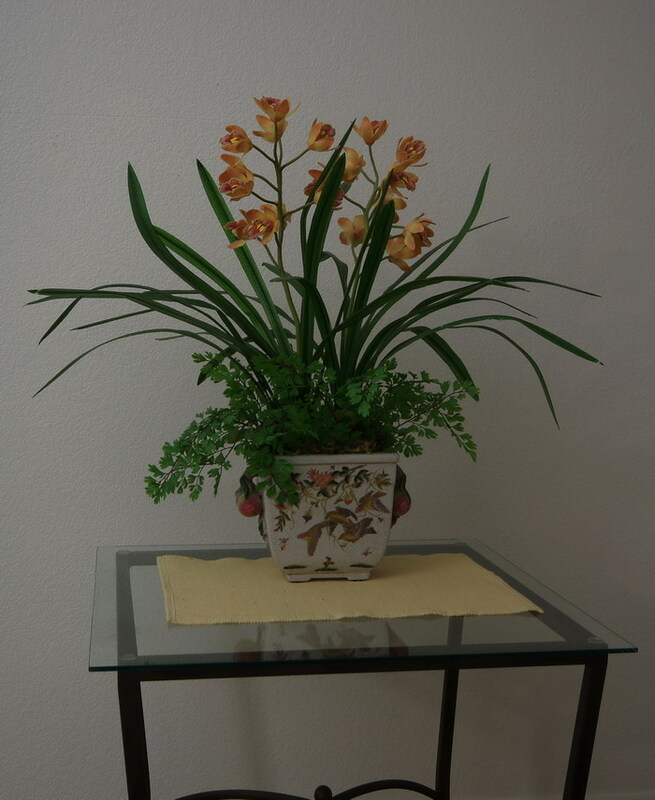 The flash is about 3' (1m) to the right, 7' (2.1m) high, 18" (.46m) from the back wall and pointed down at the center of the table where the plant is. The flash zoom was set to 85mm for all shots. 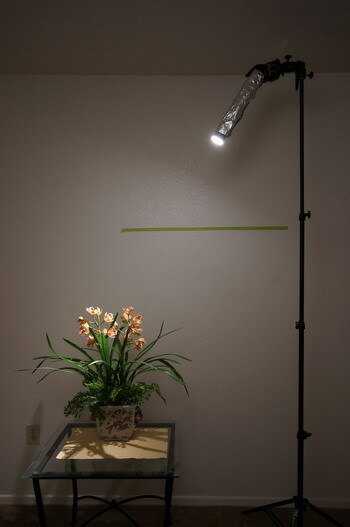 The green tape line means nothing; it was left over from another test. Top row. The left shot shows a bare flash set to 85mm at 1/16 power. You can see some of the light spill streaking along the wall, and nothing is really being highlighted, it's just putting out a broad beam of light. 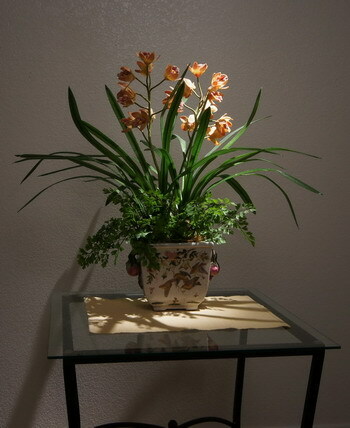 The right shot uses the 45° grid, which casts an area of light that's still too large for our small subject, but it does start to make the plant stand out. I also turned up the flash power as the grid reduced the light output. Second row. 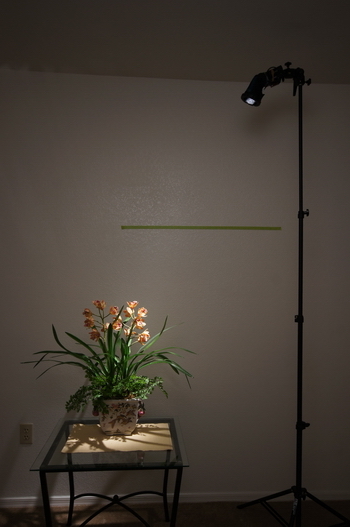 In the left shot I've put a 25° grid on, and the subject is nicely lit, with very little light spill on the wall. The right shot has the two grids combined, which produces a very tight spot of light, almost too small an area, but more carefully aligned it may look better. In the last row you can see the flash set-up in relation to the subject. The left shot shows the 16° grid, the right shot a hand made snoot from a box of corn flakes, wrapped with foil to eliminate the glow from the flash going through the thin cardboard and small openings. If you look carefully, you'll see the snoot, even though slightly closer to the subject, is casting some stray light onto the wall; the grid set-up focuses the light beam tightly, enough so that you can see the bright spot it creates below the table. One thing you have to remember about using a narrow grid is that it needs to be adjusted almost perfectly to avoid a complete "miss" of the subject. 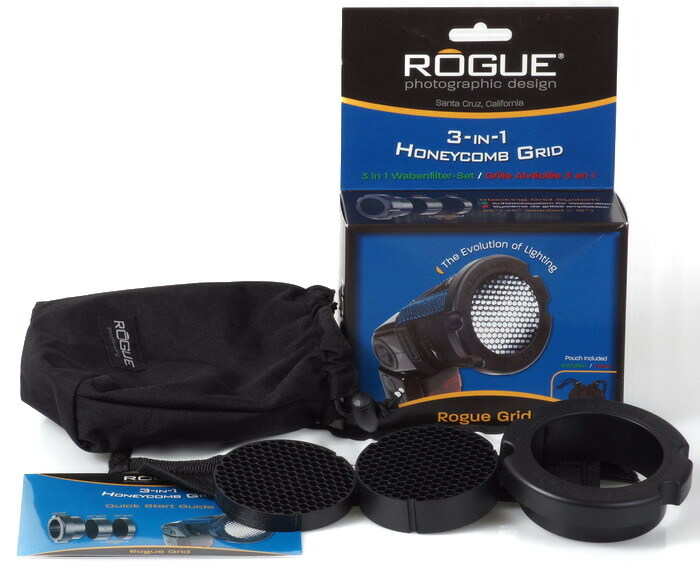 Check out the Rogue 3 in 1 honeycomb grid and help support the site!